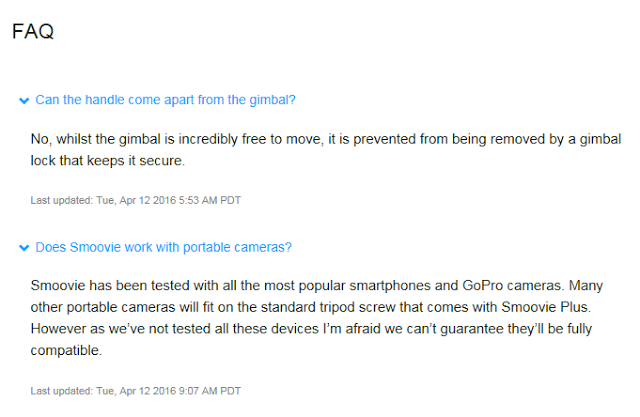 Smoovie: An Inexpensive Stabilizer for 360 Cameras? If you’ve seen videos from consumer 360 cameras, you’ll probably notice the jittering from camera shake. 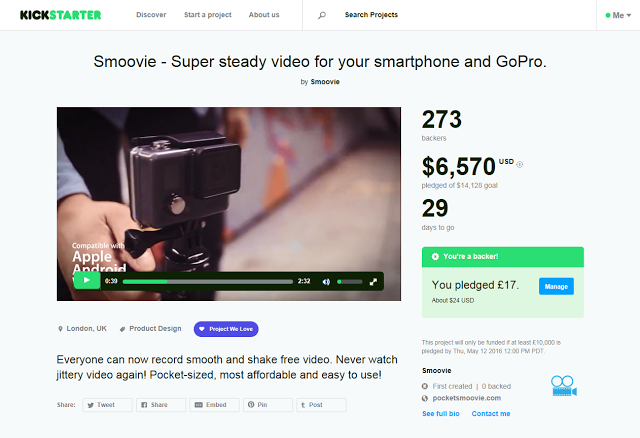 However, there’s an image stabilizer that just launched on Kickstarter called Smoovie that may also work with some 360 cameras. Here’s a video showing the project. The primary limit to its effectiveness is the weight of the camera. Fortunately, several 360-degree cameras are small and lightweight, such as the popular Ricoh Theta S, the newly released LG 360 Cam, upcoming Samsung Gear 360, and the Nikon KeyMission 360. 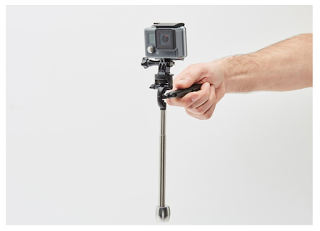 I ‘ordered’ the Smoovie Plus, which comes with a GoPro compatible adapter, which seems to be what is needed to connect it to a 1/4-20 tripod socket. Please note this is a crowdfunding project, which means that it has a risk of failure. There are several stories of project organizers failing to deliver on the project, unintentionally or sometimes intentionally. Caveat emptor! Stay tuned for a huge announcement tomorrow!